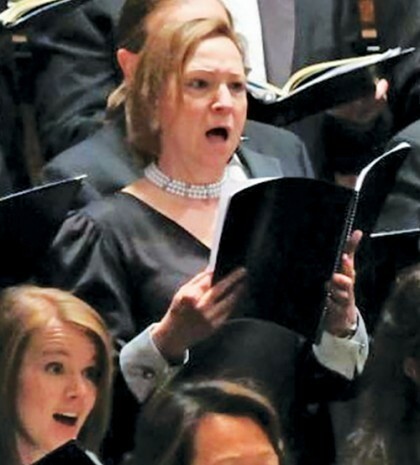 SettlePou estate attorney Marsha L. Dekan was featured in the March 2018 edition of the Texas Bar Journal, which highlighted Marsha’s passion for singing and her travels around the world as a part of the Dallas Symphony Chorus, the vocal performing arm of the Dallas Symphony Orchestra. Marsha, who began her singing career at the age of 4 in Massillon, Ohio, recounted her extensive travels through Austria, Germany, Israel, Hungary, Argentina, Brazil, Uruguay, Spain, and France, as well as her concerts in Colorado and New York’s famous Carnegie Hall. When asked about her most interesting experiences on tour with the DSC, Marsha described a performance in Communist East Germany in 1985 and a performance in Israel to celebrate Jerusalem’s 3,000th anniversary. The feature can be found in the March 2018 edition of the Texas Bar Journal or online at www.texasbar.com/tbj.